In recent years we face more uncertainty with the advancement of AI technology. New research frontiers are bringing challenges to higher education, disruptions to commercial industries, and creating a society that nervously watches out for technological unemployment. What can we expect? — — There is not a single lab, university, company, or government institution that can accurately describe where we are at the moment, let alone having to make any predictions. When Professor Steve Mann was a student at MIT in the 1980s, he was infatuated by something different that could provide an alternative to the binary opposite world of humans versus machines: wearable computing. Before enrolling in MIT, Mann played with wearable helmet gadgets in the 1970s. 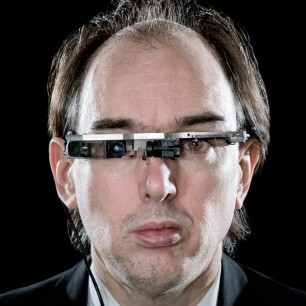 He then started wearing the self-designed “EyeTap Digital Eye Glass” in 1999, thirteen years before the release of Google Glass, a product which he claims to be “much less ambitious than the computer-mediated vision systems I constructed decades ago.” Throughout his career, Mann developed his idea systematically, combining theory with application, experiments, and real-time simulations, coining what is called humanistic intelligence (HI). In other words, humanistic intelligence (HI) is an umbrella term (similar to artificial intelligence (AI)) that steers the research and development of wearable computing. 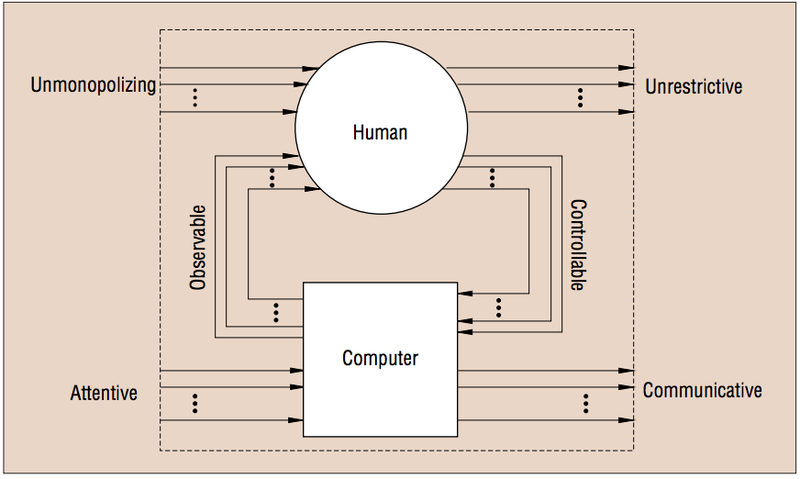 The HI system puts humans in the computing feedback loop alongside computers, where the two agents work together to enhance system performance. Why would any one of us want to merge with a computer? This question can be answered in various ways. One proposition is that we need to start measure and record ourselves, enhance our physical and mental performance in order to navigate the increasing complexity of a global, hyperlinked world. This sounds like climbing onto the next rung of the evolutionary ladder. Instead of being scared by the idea that artificial general intelligence will eliminate all jobs, or that a superintelligence will emerge as the new god, pioneer researchers believe that human plus machine is the way to go. On technical side of the evolution, realizing human-computer interaction had been a series of trial-and-error. Deloitte’s 2016 Tech Trends Report recounts the history of wearable computing by stage. 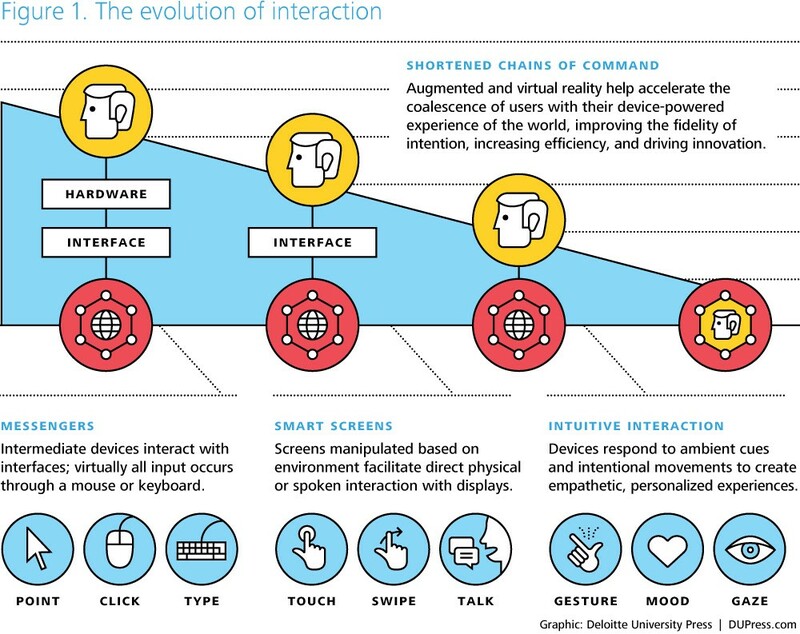 Currently we are moving from “smart screen” and into the “shortened chains of command” era, where “augmented and virtual reality help accelerate the coalescence of users with their device-powered experience of the world”. A big milestone took place April 15, 2013 when Google started selling Google Glass at $1,500 a pair, introducing the world to VR. Yet even with AR and VR , machines and humans are considered to be separate entities, and the eventual vision of HI is having a seamless fusion of hardware, software and humanity. As of today, most of the research and development of HI is carried out in the Humanistic Intelligence Lab, located at University of Toronto. The lab was first established by Professor Mann in 1998, it has incubated some student projects that later attracted large sum international VC investments. Three Rules of HI: How Must the System Work? A HI system never powers off. The system can be put into sleep mode, but it will never completely shut down. A wristwatch is a borderline example of HI because it still needs to be charged, whereas a bionic eye serves to be a better example because it is functional 24/7. A HI system’s primary function is augmenting the human intellect or body functions instead of focusing on just computation. Augmentation includes but is not limited to augmenting human body, memory, and senses using wearable, chips or other hardware gadgets. A HI system completely encloses its user. It can be used as a filter which people use to block excessive information, reorganize existing information, or camouflage from outside environment. The system guarantees solitude and privacy. One of the most interesting aspect of HI is sensory augmentation. “Sensory modalities [create] additional senses, which synthetic synethesia merges with the wearer’s senses”. Machine gadgets can enhance, interfere, or change human tactile, visual, auditory, and olfactory sensation. It will upgrade the interactive experience between human and the environment (or even distort reality, as depicted in episode “Men Against Fire” of TV series Black Mirror). In the graph below, Mann shows the six ways in which a wearable device mediates reality. With HI implementation, our sensory perception of reality changes. A person with augmented eye may be able to see ultraviolet instead of visible light, or perceive the entire spectrum of light. A person can also have multiple view points by sharing the data of another person’s device. Mann gave an example where he could watch himself eat through a digital glass through the camcorder view camcorder of person sitting across from him. At the same time, the augmented human is someone capable of redefining his or her information intake. Once people can actively pick and choose what they see, hear, smell, or touch, diminished reality emerges out of the blue. In the future, it is quite possible to go blind in front of an annoying advertisement on the street. Mann combine the augmentation and mediation experience into a singular phrase: aug-mediated reality. Social dilemmas are introduced when people start to upgrade themselves with machine gadgets, and the big one is privacy. A person may think that his (her) privacy is infringed by someone around him wearing a recording glass, but this is less the case when the person himself starts wearing one, or when he takes into account all the formerly unnoticed CCTV, GPS tracking, drones, computers, and mobile devices around. “Sous-veillance” is a concept first proposed by Marvin Minsky, Steve Mann and Ray Kurzweil. The word literally means watching from beneath, as opposed to surveillance, watching from the above. It is proposed that personal wearable devices can help mediate a world full of “watchful others”. How do we define privacy in the future? If you have satellite, street-level, household, and personal cameras recording everything that goes on 24/7, privacy is something that needs to be restated. So, Are you a Tech Nerd or Early Adaptive Cyborg ? Professor Mann wanted to “make sure this doesn’t happen to me or anybody else again”. Yet how can we guarantee that similar events are prevented from happening in the future? Early adopters of wearable technology are still conspicuous people walking down the street. After all, we live a society that dresses and behaves too uniformly. 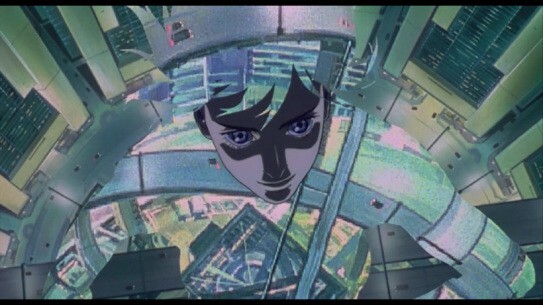 But for people who envision a future with HI, becoming real cyborgs are just a matter of time. “The Society of Intelligent Veillance”, by Kurzweil, Minsky, and Mann, in Proceedings of the IEEE ISTAS 2013, Toronto, Ontario, Canada, pp13–17.